SAVVY students are in survival mode after launching a business targeting last-minute learners. 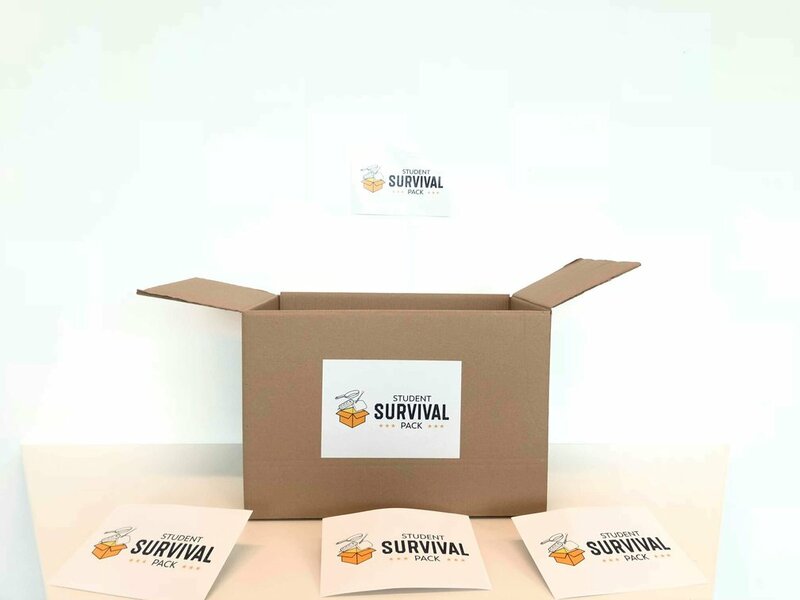 The team behind the Student Survival Pack are in for a busy summer, preparing boxes of supplies for the bathroom, bedroom and kitchen ahead of a return to academia in September. The first year Entrepreneurship cohort at Falmouth Business School – Harry Cole, Marcus Nelson, Alex Broadley and Alvaro Perez Ripolles – are targeting new and returning students who either fail to bring or need support in sourcing the bare essentials for university life. Pushing their online presence, they have already secured sales at home and on the international stage. The company- part of their Visionary Enterprises group – was formed after they themselves brought too much or too little on arrival at the Cornwall institution, and were left to fend for themselves without much-needed toiletries, cooking utensils or bedding. “When we came together and began thinking about ideas for our own business – which is a crucial part of the degree – we all looked at the things that students needed most to survive at university,” said Harry, 19, from Devon. “We all reflected on when we started, and how some of us had under-packed while others had brought everything but the kitchen sink from their family homes. “That’s how the idea came about, and everyone we’ve spoken to thinks it’s a great concept, especially for international students who arrive in the country and have to find their way around the area, while trying to settle into a change of country and making new friends. Marcus added: “We have different pre-packed sets for the bathroom, bedroom and kitchen, from emergency supplies to pillows and duvets, toothbrushes, shampoo, utensils.. everything you will need from day to day. “For the majority of those arriving it’s the first time they’ve lived at home, so there is enough to think about. We take away some of the worry for them and their parents, and it’s a fun product as well. The team have also made the packs affordable, easy to handle and carefully selected the contents after consulting with colleagues and friends. Their aim is to distribute them to fellow students at Falmouth from September, before targeting universities across the south west and, eventually, the UK. “We want to build this up slowly and will be working over the summer to eliminate any teething problems, as well as collaborating with wholesalers,” said Harry. Professor Chris Jones, Director of Falmouth Business School, praised them for coming up with a simple solution to an age-old problem. “This really is a great idea, especially for international students, as it makes the transition from home to student accommodation a lot smoother,” said Professor Jones. For more information, visit www.studentsurvivalpack.com or follow them on social media. Visit www.falmouth.ac.uk/falmouth-business-school for the latest from the Business School.